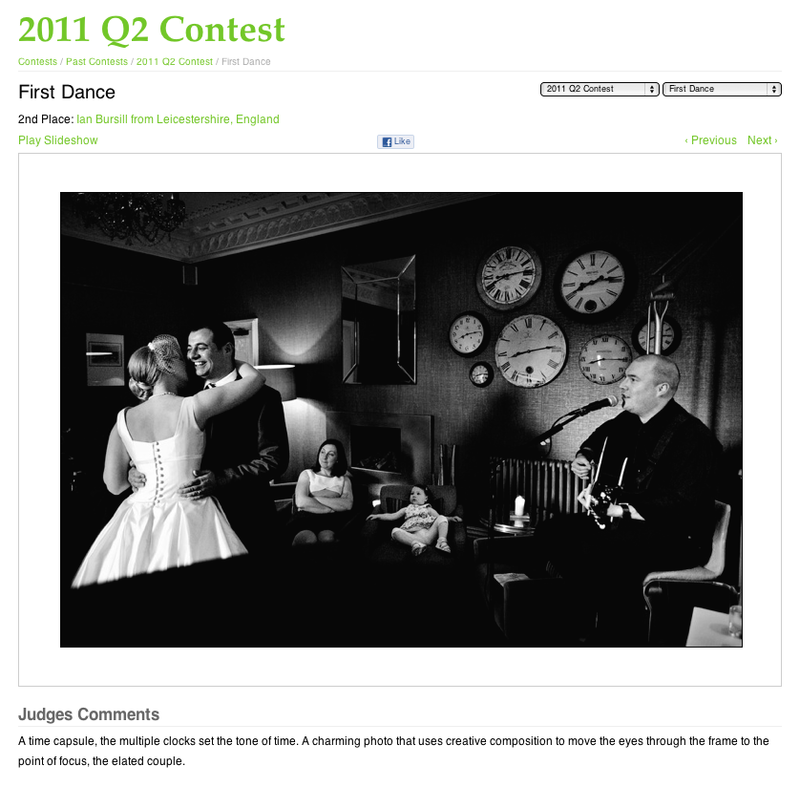 Woke up this morning to the news that I’ve taken 2nd place in the WPJA’s International Q2 Competition with a shot of the first dance from Nicole & Paul’s wedding up at the Didsbury House Hotel in Manchester earlier this year. I came back with so many good shots from this emotive wedding and I’m chuffed to bits that one of them has won critical acclaim from the team of judges. And the winners are! Top ten placing in WPJA 2013 Q1 – Ceremony Image of the Year 2013 – Win Gift Vouchers! St. Peters, Melton Mowbray Documentary Wedding Photography - Mark & Claire.